Android and iOS devices can instantly turn a non-photo ID into a virtual photo ID for visual verification anywhere there’s Internet connectivity. How? It’s simple. With the codeREADr app, scan the person’s barcode ID and then take their photo. 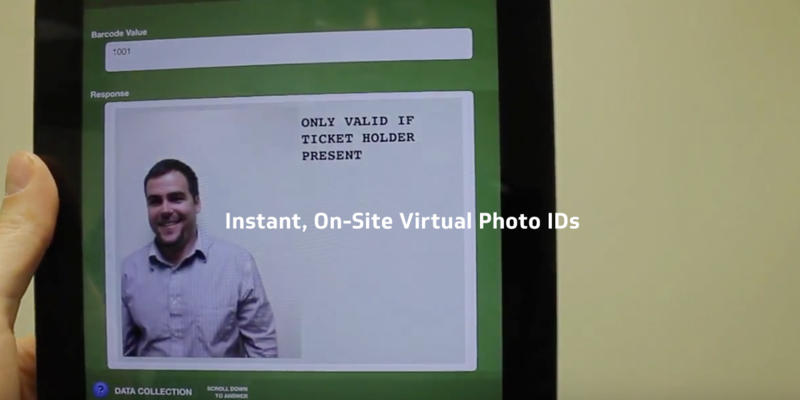 Both the ID and photo are stored in real-time in the cloud. When scanned again by authorized app-users (guards, administrators, etc. ), they will see the persons picture along with any other data you’ve associated to that ID. Read more about the best practices for access control and attendance applications.